What is a DPF system? 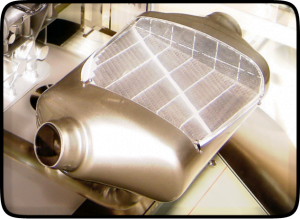 The DPF, or Diesel Particulate Filter system, is the hardware in charge of the process of filtering the large exhaust gas particulates (soot) out of the exhaust. Often internally constructed from cordierite, a material that is also used in the support structure of catalytic converters, these filters have a honeycomb patterned chunk of this material stuffed in the middle of a steel canister, installed in line with the exhaust flow. The system works by collecting the soot, trapping it in the honeycomb passageways as it flows through the filter. These systems do actually collect a ton of the particulates that diesels produce, which in turn equals cleaner air for everyone to breathe. 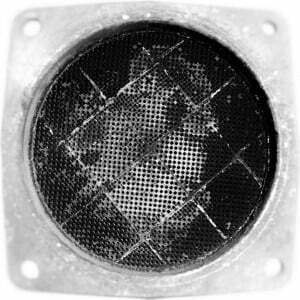 The inherent design of a DPF system is to filter enough soot that it actually regularly becomes clogged! I don’t have to tell any gear head how a clogged up exhaust system is ridiculously bad for an engine. Backpressure and heat are the biggest enemies to your turbo diesel. The methods used for this regenerative process vary depending on make and model, but the mainstream methods include late fuel injection, turbo boost changes, EGR valve changes and intake air throttling. The diesel engines in most trucks use a variation of the late injection method, which injects fuel after the TDC stroke in order to heat up the exhaust gasses, and in turn, the DPF. This method has the potential to wreak havoc on your turbo seals, EGR system and lubrication system. 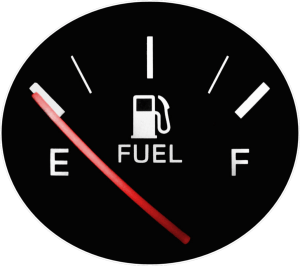 Late injection forces fuel into the engine oil, raising your oil levels to a unhealthy level and destroying the oil lubrication potential. The late injection method is also pretty terrible for your fuel mileage, because not only is the computer dumping enough fuel through the engine to raise the combustion chamber temps high enough, engine cooling and other components are also affected by the heat, in turn decreasing your fuel economy. If my DPF fails, should I keep it or delete it? Well, that depends. You always have two options if your DPF fails: a DPF delete kit, or a new OEM DPF replacement. First option, if you have a truck that is only used off-road, on a track or a farm, the best way to go in this case would be to remove the DPF and EGR systems. Oftentimes, these trucks have already been through thousands of regen cycles in their lifetimes and are in dire need of a full DPF system replacement by now anyways. At the tune of upwards of $2,000 for one of these systems to be replaced at the dealer, it is no wonder why owners of these off-road trucks would run a DPF delete kit instead. What is a DPF removal kit? I’ve outlined the three basic parts that make up a complete DPF removal kit, using the top brands in each category and made to fit a Cummins, just as an example. If you scroll even further, near the bottom I’ve narrowed it down to model and year specific complete kits for whatever truck you might have. Warning: if you use your truck on US roads, there isn’t a question about it, no matter the impact on performance, drivability or fuel mileage, the entire DPF system HAS to stay installed on your truck in order for it to be considered road legal and up to EPA standards. There are only a couple of tuners on the market that are capable of eliminating the codes that will happen when the DPF is removed. I personally am a big fan of H&S, their tuner comes with a nice gauge-displaying touchscreen, and full horsepower, MPG and transmission mapping capabilities. 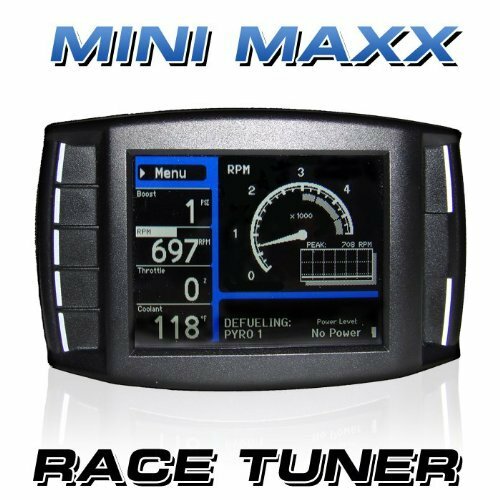 Note: The Mini Maxx Race version is required, as this is the only version with DPF delete capabilities unlocked. This seemingly simple looking piece of pipe is a vital component of the overall DPF delete. This pipe replaces the lost section of exhaust that has to come out when the DPF is removed. This one in particular produces a milder sounding exhaust note by keeping the tail section of exhaust with the muffler intact. You most certainly will hear a lot more of your turbo whistle though, without the restrictions of the filters in this part of the exhaust. 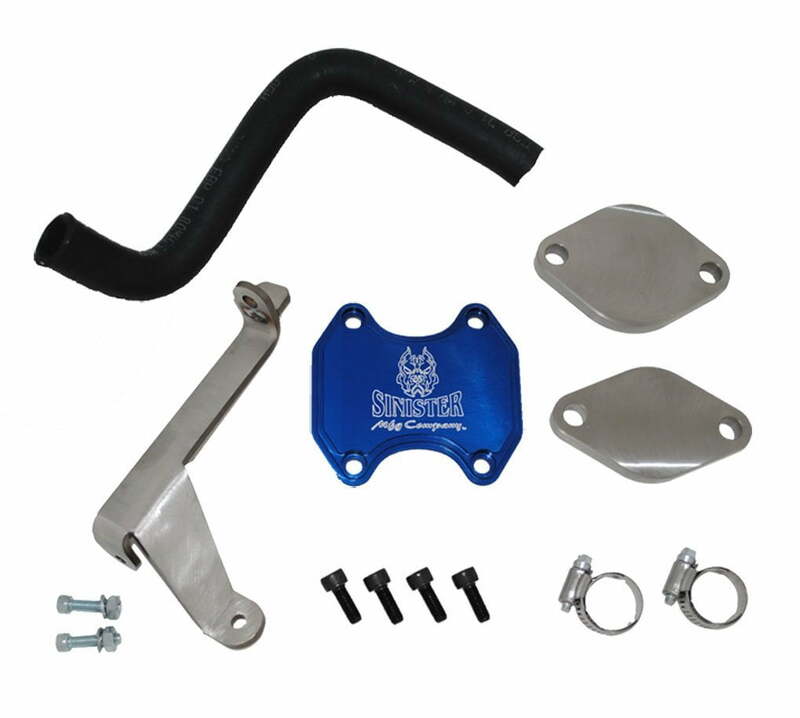 The EGR blockoff kit is important if you want the most efficiency out of your diesel’s tune. On some setups, you can manually disable the system by disassembling it and modifying it, followed by tuning out the codes that the engine will throw. A lot of times if you are going to be disabling the system anyways, I would recommend to just go ahead with the blockoff kit. It gets rid of a lot of unnecessary parts under the hood and makes the engine compartment a lot cleaner and simpler. Thankfully there is an option for trucks that have had the DPF filter clog beyond what the regen can recover from. In this case, it is recommended that these road-going trucks be fitted with an OEM DPF replacement filter, in order to keep them road legal according to federal mandates. It can be hard to source the correct part numbers for these OEM replacements and aside from going directly to the dealer (who most times is the costliest option,) you might not know who to buy from. My favorite way to order any parts lately has been going straight to Amazon and typing in the part number, to find what I know will be the correct part, and that I know will be at my house in a couple days. The only downside to this is the research needed to find the correct part number, which can be annoying sometimes. I’ve compiled the corresponding part numbers with the trucks they go with, in some links down below, in case you were looking for the same replacements for your truck. Saves me from having to type out an email or comment every time someone asks, not that I mind talking to you folks!